The "brilliantly wry" (Lena Dunham) and "lovably awkward" (Mindy Kaling) New York Times bestseller from the creator of HBO's Insecure. 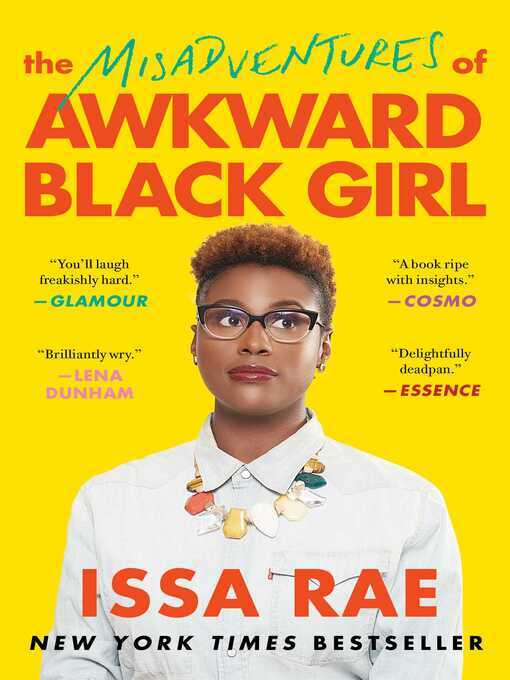 In this universally accessible New York Times bestseller named for her wildly popular web series, Issa Rae—"a singular voice with the verve and vivacity of uncorked champagne" (Kirkus Reviews)—waxes humorously on what it's like to be unabashedly awkward in a world that regards introverts as hapless misfits and black as cool. I'm awkward—and black. Someone once told me those were the two worst things anyone could be. That someone was right. Where do I start? Being an introvert (as well as "funny," according to the Los Angeles Times) in a world that glorifies cool isn't easy. But when Issa Rae, the creator of the Shorty Award-winning hit series The Misadventures of Awkward Black Girl, is that introvert—whether she's navigating love, the workplace, friendships, or "rapping"—it sure is entertaining. Now, in this New York Times bestselling debut collection written in her witty and self-deprecating voice, Rae covers everything from cybersexing in the early days of the Internet to deflecting unsolicited comments on weight gain, from navigating the perils of eating out alone and public displays of affection to learning to accept yourself—natural hair and all.